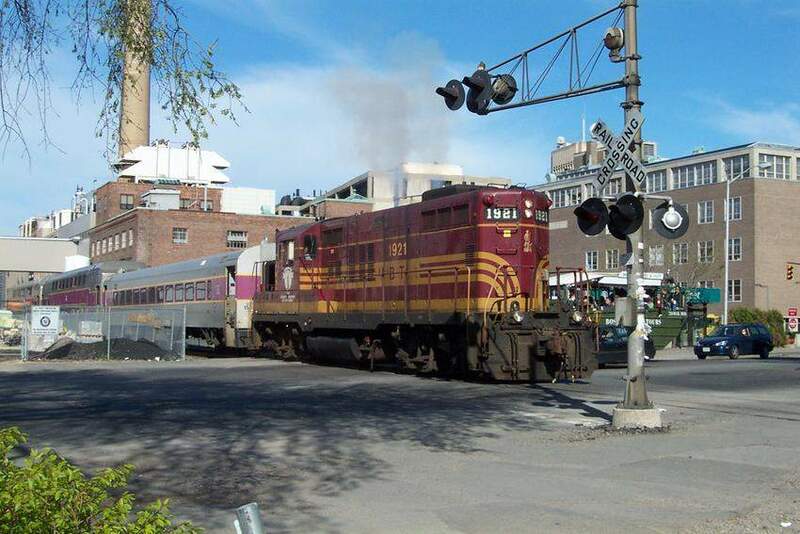 MBTA GP9 1921 crossing Mass Ave @ MIT, 4:30pm, with 3 coaches in tow. Engineer has just given the engine some juice after blowing the whistle twice. Note the size comparison with the duck tour at right! Photographed by Rob Bellinger, May 4, 2003. Added to the photo archive by Rob Bellinger, May 4, 2003.